Trained by Mark Casse and ridden by Julien Leparoux, the five-year-old was making her British and European debut having won a host of big races in her homeland, including the Breeders’ Cup Mile at Keeneland last October. Sent off at 11-2 due to doubts about the rain-softened ground, Tepin was always travelling well and knuckled down admirably in the final furlong to get the better of Belardo by half a length. When the starting stalls opened, the field initially split into two groups, with Tepin leading a contingent that raced closer to the stands side. With ground conditions in his favour, Belardo was the 9-2 joint-favourite to add to last month’s top-level triumph in the Lockinge Stakes at Newbury and his pacemaker, Barchan, ensured it was a serious test of stamina by setting a furious gallop. When he inevitably folded heading inside the final quarter-mile, Kodi Bear was left in front, but he was quickly pressed by Tepin and the more patiently-ridden Belardo. That pair settled down to fight it out and it was Tepin who found most for pressure to clinch a momentous victory under her jubilant rider. Lightning Spear came from a long way back to finish third. The other joint-favourite, French challenger Ervedya, never threatened to land a telling blow. 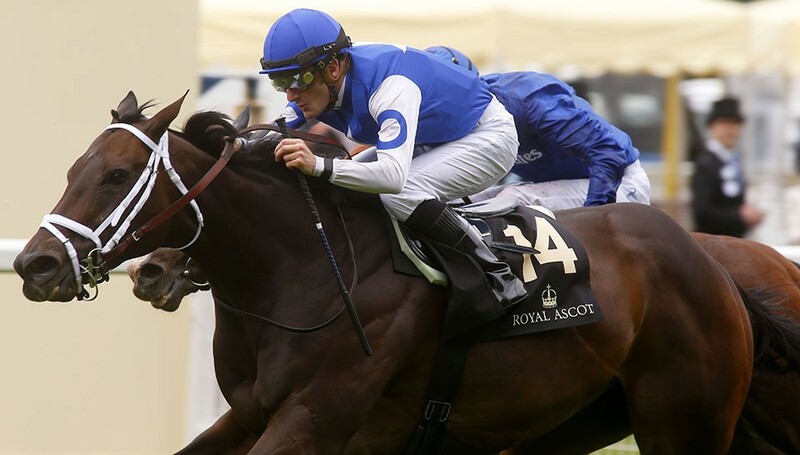 Tepin‘s owner Robert Masterson said: “The mare is the best thing in the world – she’s fantastic. People say Americans have to have drugs in their horses. She had no drugs and no nasal strip, the things everyone was worried about. “The biggest thing we were worried about was the ground. She’d won on soft but we didn’t know how bad the ground was.